SCHEDULE YOUR APPOINTMENT TO SEE THIS SPOTLESS HOME....LOVED BY THE SAME OWNER FOR YEARS AND IT CERTAINLY SHOWS. SPOTLESS FROM TOP TO BOTTOM....NOTHING TO DO BUT MOVE IN, ENJOY AND ENTERTAIN. 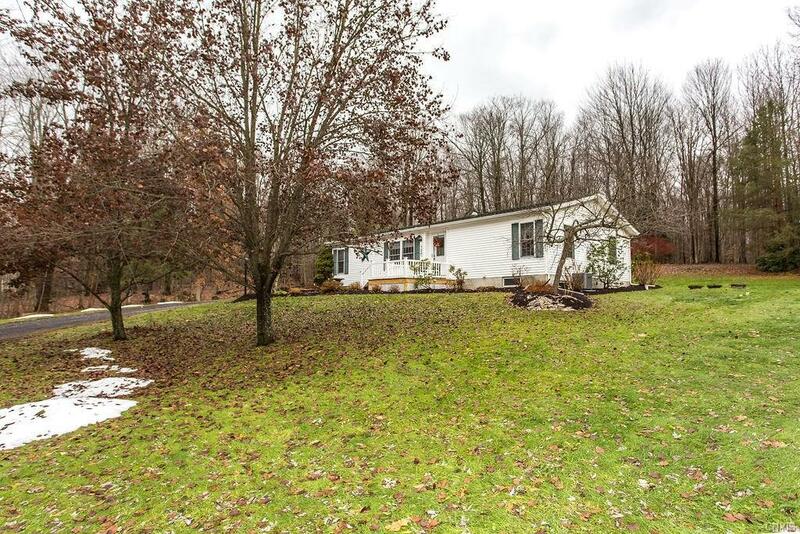 SITUATED ON 5 ACRES TO ASSURE PRIVACY....THE KIDS AND PETS WILL HAVE PLENTY OF ROOM TO RUN. INSIDE YOU WILL FIND A GLEAMING WHITE KITCHEN WITH ALL OF THE APPLIANCES INCLUDED, A CUSTOM TILED BACKSPLASH AND A CONVENIENT BREAKFAST BAR, A 1ST FLOOR LAUNDRY ROOM AND 3 SPACIOUS BEDROOMS, ALL METICULOUSLY KEPT WITH MAINTENANCE FREE FLOORING. THERE ARE TWO FULL BATHROOMS AND A LARGE LIVING ROOM FOR HOLIDAY ENTERTAINING. NEW FRONT PORCH, BACK PATIO ENTRANCEWAY AND A 3 SEASONS SUNROOM OVERLOOKING THE BACK YARD!! MECHANICALS HAVE ALL BEEN UPDATED INCLUDING ROOF, WINDOWS, FURNACE AND CENTRAL AIR!!! Directions To Property: From St. Rt. 104 In Hannibal...a Left At The Flashing Light Onto Co Rt. 21...home Will Be On Your Right...look For Sign.